Do you envy fellow dog owners you encounter on your morning walks, the ones enjoying a calm, off-leash stroll with their canine companions? The ones whose pups bound to them with the barest minimum of commands? Or do you envy the way owners implement underground dog fences and have an incredible recall with off leash training? Do you think it’s even possible to get YOUR frisky dog to behave like that, as if on cue? The good news (and short answer) is yes, you can, and you both will be the happier for it. Investing time and effort in off-leash training is a very worthwhile endeavor. 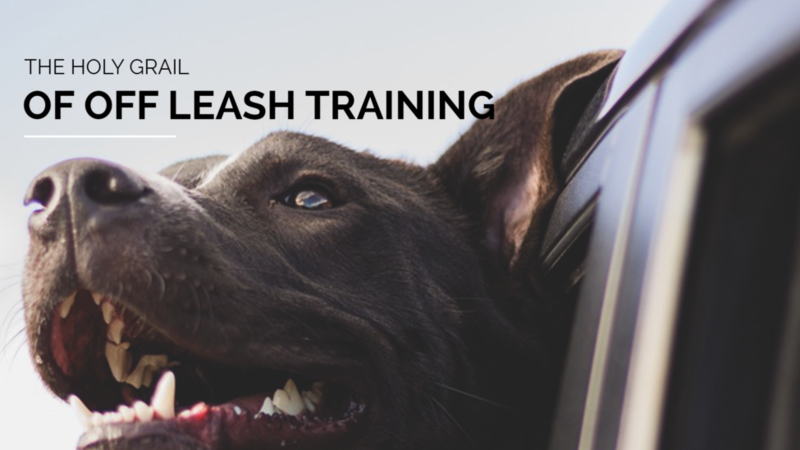 Previously, you and your dog probably had weeks-long training classes likely involving leashes. 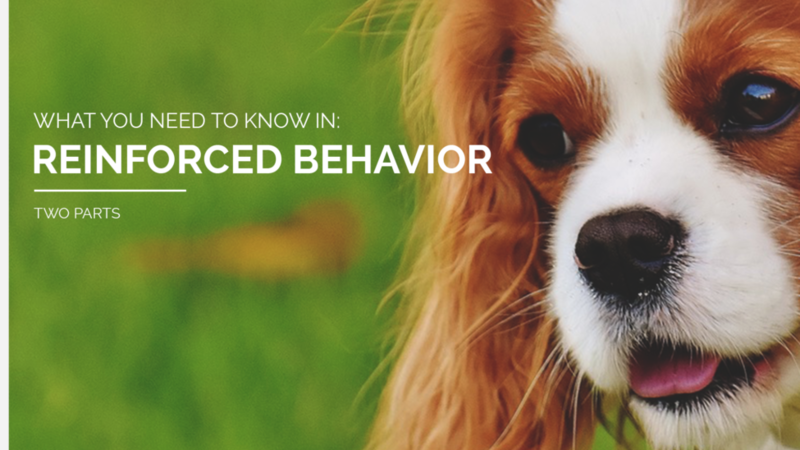 In them, you taught them positive, on-leash behavior cues, such as sit, down, stay, and come. However, once in the great outdoors, the leash is unclipped from the collar and your dog acts as if he never attended any type of training! This on-leash training does very little to create and reinforce desirable off-leash manners. You don’t realize it, but the leash itself provides a physical signal that communicates subtle clues of (in)appropriate behavior. Take away the leash and you have temporarily lost one of your valuable signaling tools. Begin off-leash training in the most obvious leash-free environment: your home. Give your pup your undivided attention in a distraction-free environment. Make this as easy and rewarding as possible for your dog. Your home and backyard provide fertile ground for your dog to learn the fundamentals of off-leash behavior. In your kitchen or living room, remove as many distractions as you can. Sit on the floor and wait until your pup inevitable makes his way towards you. When he is just a few feet away, say his name and the command, “come!” Once he reached you, make a BIG deal and praise him effusively. The point is to reward the act of coming TO you and to reinforce to your dog that this is a big deal and very good behavior. How to Reinforce the Behavior you want, part 1: treats! There a few different schools of thought regarding “rewards” for good behavior. One trainer asserts that using a “lure,” such as a favorite treat or toy, has limited utility and will likely not work once your dog is in a new, highly-distracting environment. Rather than a lure, some trainers recommend a variety of exciting rewards, with the key word being “variety.” To be most effective, the rewards must be unpredictable, and the exclusive property of this specific off-leash training strategy. Use your dog’s favorite half-dozen treats, such as playtime with you, time to romp freely, a beloved people-food treat (such as a bite of cooked chicken,) etc. This will keep your pup guessing and, more importantly, engaged and learning! How to Reinforce the Behavior you want, part two: games! Using a number of fun games is an excellent way to reinforce his off-leash skill set. For example, have you ever played Hide and Seek with your dog? You can! Tell your dog to “stay,” while you go hide in another room. Call out for your dog to “Come find me!” while accentuating the first command, “come.” React enthusiastically when he finds you and possibly offer some reward. Repeat this game several times, stopping when your dog is obviously fully engaged. This will help retain maximum effectiveness for next time. You can even repeat this game outdoors or at the beach, as he gets better at it. Use your dog’s dinner time to further bolster the “come here” command. Invite your dog into the kitchen, to sit and watch you prepare his meal. Then, make him stay in the kitchen while you take his dinner into another room. From the other room, call your dog to you and when he arrives, he is met with his reward: his food! Fantastic: you’ve got your pup engaged in all manner of learning through games, rewards, etc., and are pretty sure you have made some lasting changes in his doggy brain. Now is the time to go out and test all your hard work. This “examination” should happen around 30 to 60 days after you began off-leash training. Take a walk to a park and safely let him play off the leash for a few minutes. See what happens when you suddenly yell out, “Come!” Did he immediately come over to you? If not, do NOT repeat the command. Rather, take another two weeks or so to practice the command at home, before attempting outside again. You can also incorporate a simple hand signal to help encourage your dog to come to you. Begin by rubbing your hand with a favorite treat or something equally savory and enticing. Place your hand an inch in front of your dog; when his nose touches it, praise him loudly. This will help your clever pup realize that touching your hand can elicit praise and a possible reward. Once he gets it, and the vocal command of “come” to the touch gesture, and show him your hand. Gradually, stand further back as you do this. You can safely assume the pup is making progress when he 1) responds within three seconds and 2) performs three times in a row. At this point, you can take the training outside. Your dog will now have two strong signals to reinforce the most important command you will ever teach him: to come back to you when you call. Combining the voice and the hand signals into a winning combination will help your dog enjoy the more off-leash time, and give you more peace of mind.